Since 1964, Festival in the Park has been bringing good music, good art and good times to Charlotteans and visitors from around the world. The sounds of "big band music" drift across Freedom Park's lake whose still surface reflects the lights strung from Camelot exhibit tents. The scents of a variety of food fill the air, as small children with painted faces happily produce their first art work. Others find the many talented artists who can create an original work of art to grace their home or to give as the perfect gift. First time visitors are taken by the simple, relaxed atmosphere. Old timers marvel at the freshness of each year's offerings, as memories from long ago festivals are revisited. Unlike most festivals our lighting system allows us to continue into the night. This fun filled event is designed to promote and stimulate interest in the arts. 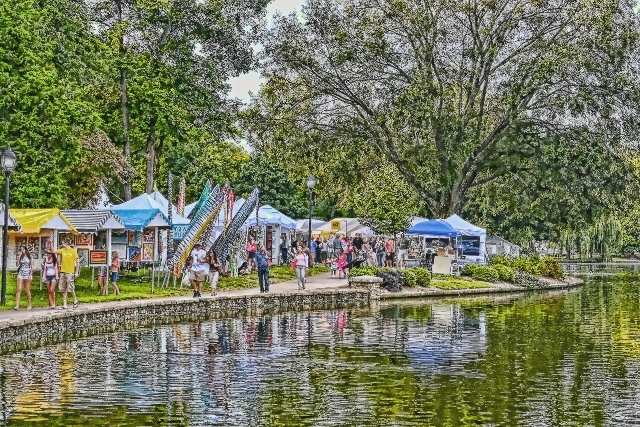 It provides the opportunity for all to see, hear, and learn from over 180 artists and crafts people who actively demonstrate and display their art. Nearly a thousand entertainers provide free ongoing performances at the main band shell and many stages surrounding it. Festival in the Park has been chosen as one of Sunshine Artists Magazine's 200 BEST festivals in 2018 and has also selected as one of Southeast Tourism Society's Top 20 Events. In years past, visitors to Festival in the Park typically exceeded 85,000 each year. However in 2018, it was estimated that 125,000 attended the Festival. The Festival is made possible by many groups and individuals. 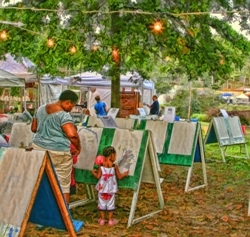 A sampling of the organizations who actively participate in bringing art and entertainment to the Festival are Charlotte Mecklenburg Schools, Children's Theatre of Charlotte, Carolina Raptor Center, the Carolina Clowns, the Magicians' Stage, the Charlotte Folk Society and the Jazz Arts Initiative at Kings Drive Art Walk. We welcome them and the many others who help make the Festival possible. 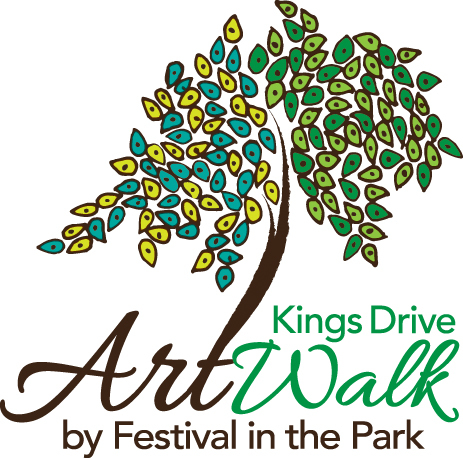 We encourage all groups and individuals to participate and get involved with Festival in the Park and Kings Drive Art Walk!! We've been around for more than 55 years and aim to be around for many more generations!